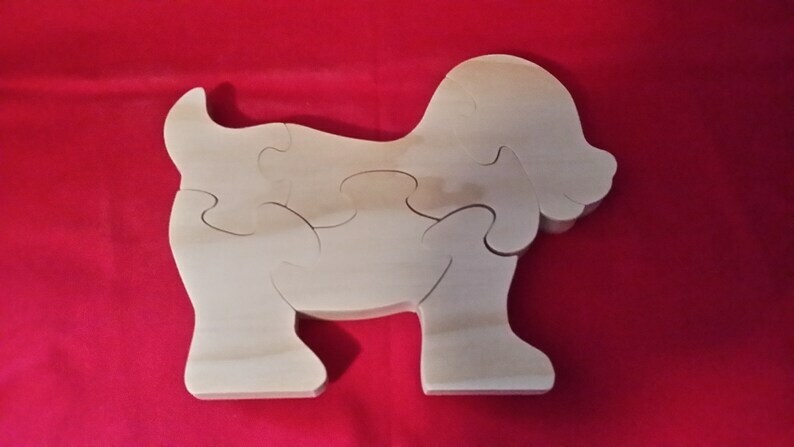 This Puppy Puzzle is approximately 9 -1/4 inches long by 7 inches tall. All puzzles are cut from Solid aspen (3/4 inch stock). They are sanded smooth. In other words, these puzzles are safe. All puzzles are self-standing and have interlocking pieces. They are cut on a scroll saw which gives the pieces a very smooth look.